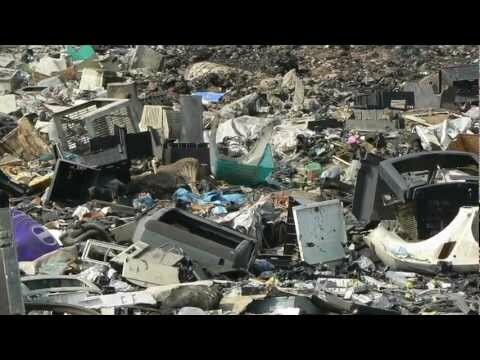 With cellphone carriers shifting their plans to allow for upgrades each year, e-waste will most certainly increase from its current 50 million tons of waste disposed worldwide each year, according to dosomething.org. To help keep electronics and toxins out of the trash, Arizona Technology Council makes it easy for all Arizona residents to throw away their old electronics, and this year’s Technology Recycling Day is being held on Saturday, October 24th. With support from Data Doctors and Westech Recyclers, environmentally conscious consumers and businesses can responsibly dispose of their e-waste, which will be handled by the AZ Tech Council Foundation’s TechTerra program. Receipts for tax donation purposes will be available at all locations. There will be a nominal fee of $15 collected for each Cathode Ray Tube (CRT) televisions and monitors collected at the Honeywell and Intel locations to cover the costs of recycling the lead glass. Data Doctors locations will not accept CRT, televisions and monitors. Honeywell, 21111 19th Avenue, Phoenix, AZ 85027 from 8:00 a.m. to 1:00 p.m.
All Data Doctors locations in the state of Arizona including Flagstaff and Tucson and Phoenix from 8:00 a.m. – 1:00 p.m.A complete list of Data Doctors locations can be found at http://www.datadoctors.com/mkt/AZ. The electronic equipment and components acceptable for drop-off includes personal computers, computer peripherals, networking equipment, main frames, servers, point-of-sale equipment, printers, audio/visual and telecom devices, surplus metals, wire, cable and power strips. Miscellaneous electronic items such as test and/or lab equipment are also acceptable. Those wishing to donate their hard drives but want to make sure that the information is securely wiped can drop off their donations at the Data Doctors Data Recovery & Forensics lab in Tempe located at 725 S Rural Rd #107, Tempe 85281.